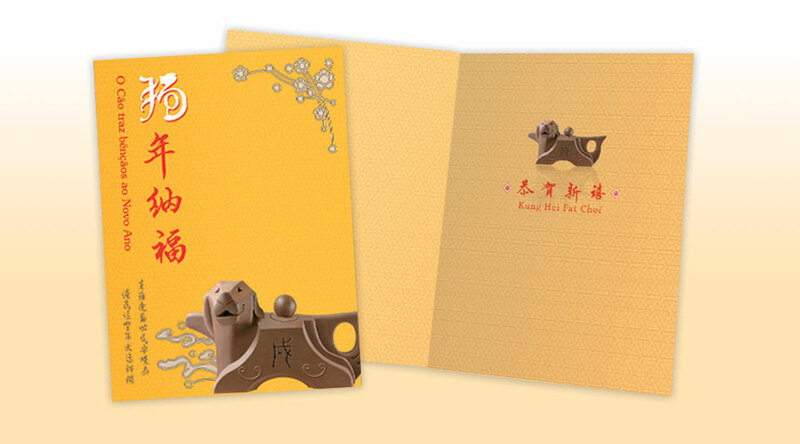 Macao Post and Telecommunications Bureau will issue a new greeting card for Lunar Year of the Dog titled “The Year of the Dog brings blessing”. This card will be available for sale at the General Post Office, all post offices and postal kiosks on 8th January, 2018. This greeting card priced at MOP15.00 each can be sent to every corner of the world without stamp. It’s saving your time and money.